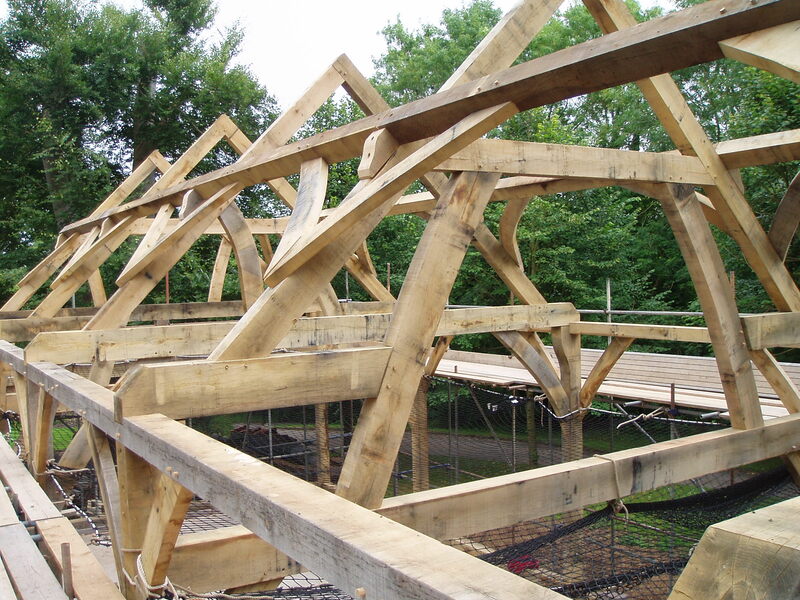 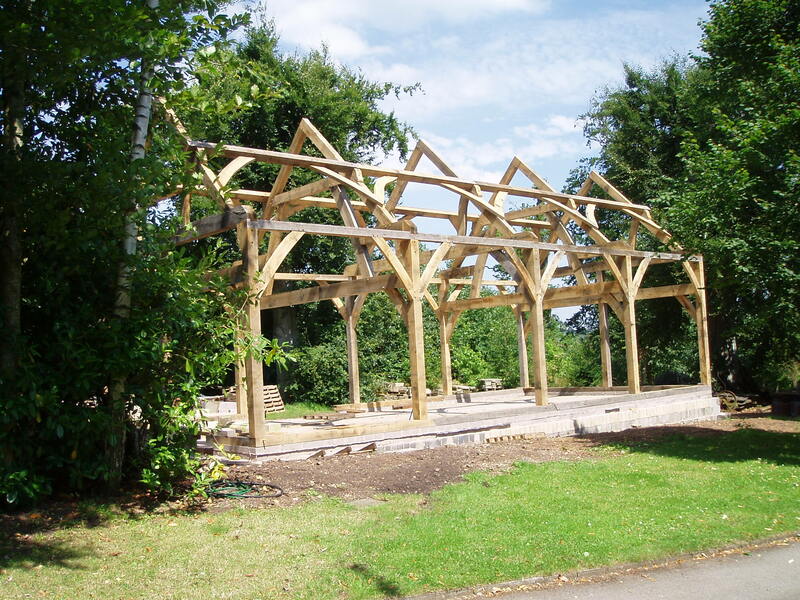 We have built new green oak framed barns for clients in the UK. 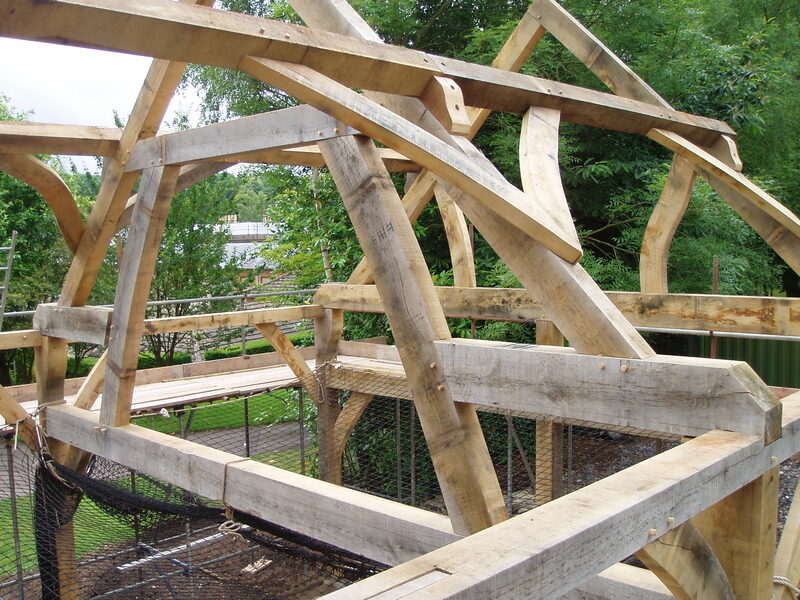 The first row below shows a traditional barn, featuring windbraces securing the purlins to principal rafters. 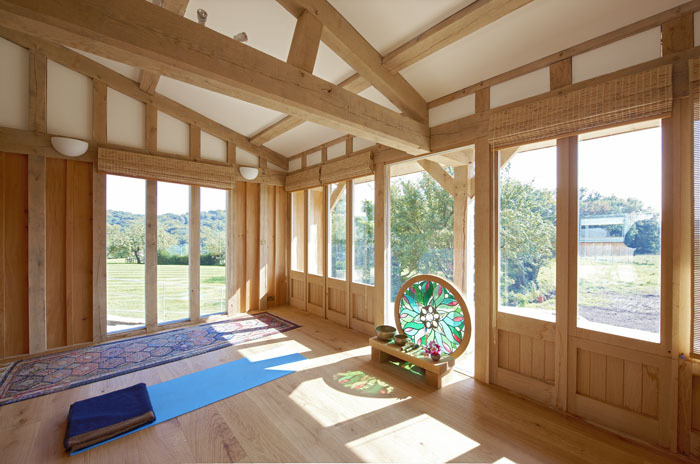 This creates a beautiful effect as well as strengthening the frame. 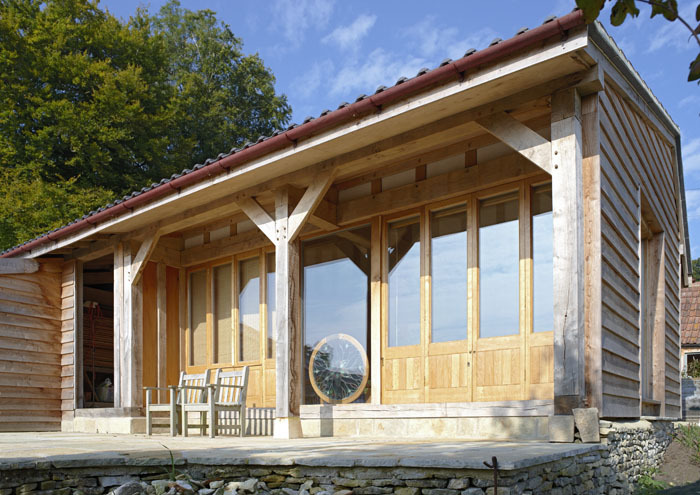 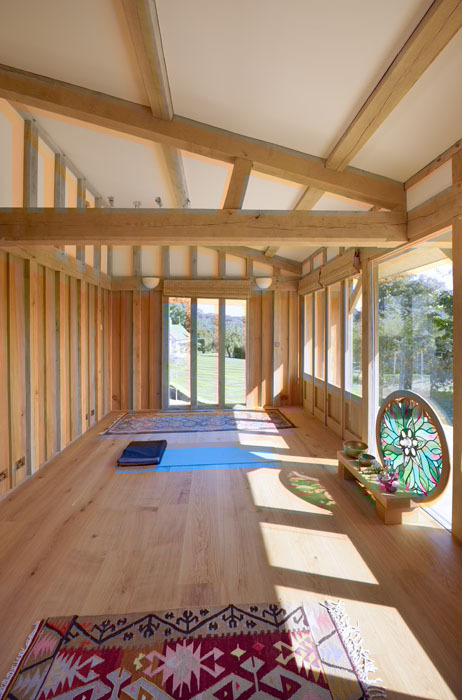 The images underneath are of a more modern barn construction, designed to create a light-filled, relaxing space.